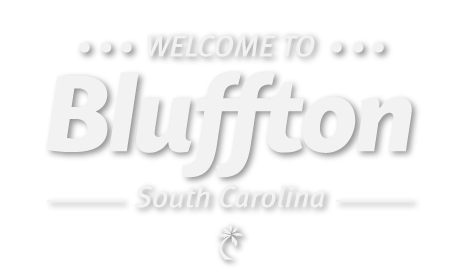 The Lowcountry is known for having provided South Carolina and America with some of our most colorful patron fathers and heroes. Although there may be others deserving mention, one of Oldfield’s proprietors, and the legends surrounding his participation in our Revolutionary War, have captured our attention. William Hazzard Wigg, having inherited Oldfield from his grandfather, was a prosperous and progressive planter. Editor’s Note: The following article was compiled from excerpts of “A Brief Memoir of the Life, and Revolutionary Services, of Major William Hazzard Wigg, of South Carolina” Washington: C. Alexander, Printer, 1860. “Major William Hazzard Wigg, the subject of this memoir, and the grandsire of the memorialist, was born in the town of Beaufort, in the then colony of South Carolina, on the 24th of November, in the year 1746. His ancestors emigrated from England, amongst the earliest settlers of the country. 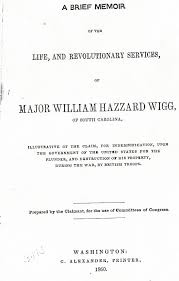 At the commencement of the Revolutionary struggle, Major Wigg, then in the prime of life, received the commission of a captain of cavalry, in the militia service of South Carolina. He enjoyed all the advantages of talents, education, fortune, and social position which were requisite to give weight and influence to his services in the cause which he had embraced. He entered upon the war with characteristic energy, and discharged the various duties of his position with zeal, fidelity, and devotion. 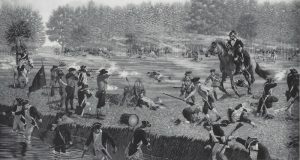 The first military service of any magnitude, upon which it is known he was engaged, was under General Howe, of North Carolina, who, in the summer of 1778, led the disastrous expedition of the Southern Army into the territory of East Florida, whence less than a third part of his brave troops ever returned. In the next year, we find him serving under General Lincoln, upon the Savannah River. He was also present at the Battle (or, more properly skirmish,) of Coosahatchie, (or Tulifinni, as it is sometimes called) at the Battle of Stono: at the siege of Savannah; and finally, at the siege of the City of Charleston, which capitulated to the enemy on the 12th of May, 1780, where his military services in the field were concluded; for upon that occasion, he was surrendered, together with the whole of the American Army, prisoners of war; in which condition he remained, varied only in manner, as will be hereafter related, until triumph finally crowned the heroic struggle of the Colonies. Besides these several services, which of themselves, judging from their respective dates and localities, must have kept Major Wigg continuously employed, from the commencement of the war up to the period of his captivity, he is believed to have taken part in many, if not all, of the numerous conflicts that occurred upon the seaboard of South Carolina, and which has given a distinctive character to the war into which the country was plunged. The long line of undefended southern sea coast, in both of the Anglo-American wars, afforded advantages to the assailants, which, in neither, were neglected—hence the large number of, (so to speak,) amphibious affairs, or battles, partly upon land, and partly upon the water, which characterized both of those wars. July 4, 1776, was a day of great celebration for Planter Wigg. 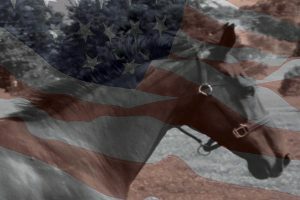 The Declaration of Independence was adopted and a colt was born at Oldfield. Appropriately named “Independence,” the colt was to become Wigg’s favorite horse and his partner in adventure. As war approached, Planter Wigg, (owner of Wigg’s Bluff, now known as Oldfield) being a man of stature and known for his patriotism, was appointed an officer and was to serve with the artillery during the war. 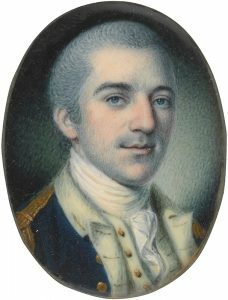 In action at Coosawahatchie, Col. John Laurens, a great friend of the Wiggs and a patriot in his own right, was wounded and lost his mount and taken prisoner. Wigg hid in waiting while a column of 4,000 British troops passed, and the prisoner column followed. Wigg and Independence sprang into action. Wigg reached down and grabbed his wounded comrade, slung him over the saddle, and, with Independence, in keeping with his reputation of being the fastest and strongest horse in Beaufort, carried Col. Laurens to safety. Wigg lost Independence to the British when he was taken prisoner at Charles Towne. While a prisoner, Major Wigg openly gave a fervent speech against his British captors, boosting the morale of those imprisioned. As punishment, the British arrived at Wiggs Bluff and burned it to the ground, only strengthening Major Wigg’s resolve to fight on harder and win America’s independence and rid the land of the English army. As Charles Towne surrendered, Major Wigg and 39 others were put aboard the ship Pack Horse as prisoners. The ship sailed for New York but never made it. During the night, the “colonials” overpowered their captors and sailed to the nearest North Carolina port, securing their freedom. While making his way home, Major Wigg saw a British “dragoon” (said to be under Turlington the British officer made famous by his cruelties in the movie “The Patriot”) riding his beloved horse and whistled. Recognizing Wigg’s short shrill signal, Independence reared up, throwing off his rider and galloped to the Major. Mounting quickly, Major Wigg made good his escape and was on his way to back to Wiggs Bluff. Major Wigg died in 1798. Upon his death in 1807, Independence was buried with military honors somewhere within Oldfield. Our country is built on the freedoms won for us by the heroes of every generation.